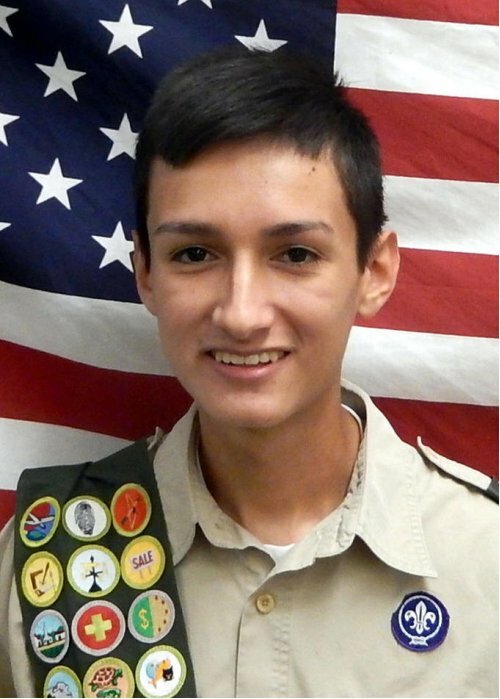 Cristian Rojo, son of Guillermo and Kany Rojo, was recently presented the Eagle Scout Award, Scouting’s highest honor, at a Court of Honor by Boy Scout Troop 33 in DeKalb. Rojo originally became involved in scouting at age 7 after joining Cub Scout Pack 123 in Malta, where he earned the Arrow of Light Award, Cub Scouting’s highest rank. In 2011, he joined Boy Scout Troop 33 sponsored by First Lutheran Church in DeKalb. He has enjoyed years of activities including day trips, service projects, weekend overnights, summer camp, fundraisers and snow adventures. Rojo enjoyed summer camps at Camp Lowden near Oregon. He is an Ordeal member of the Order of the Arrow, Scouting’s National Honor Society. He earned 34 merit badges. Some of his greatest winter adventure experiences were at Tomahawk Scout Reservation Snow Base near Rice Lake, Wisconsin. Cold weather activities included snowshoeing, cross country skiing, playing broomball and so much more. His leadership included serving as Patrol Leader and Troop Guide where he was instrumental in helping younger Scouts learn and develop new skills and progress toward rank advancement. His Eagle Project took place at Oaken Acres Wildlife Rehabilitation Center in Sycamore. He took on the challenge of constructing an octagon-shaped learning center with a two-tier roof where people can gather together for instruction and training. His hard work and leadership went into making the project a great success. Rojo is currently is a junior at DeKalb High School.